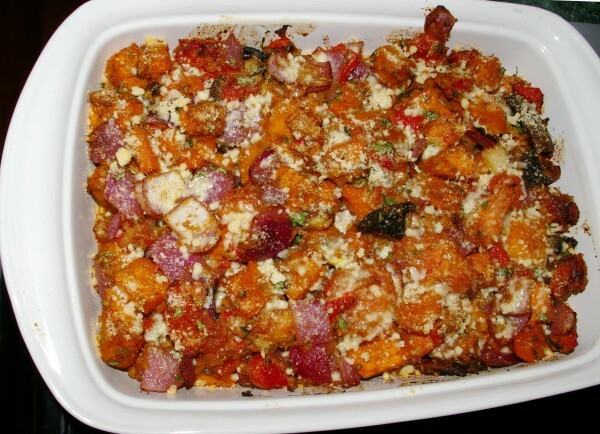 The perfect Fall dish, healthy, savory and easy to make. Preheat your oven to 400 degrees. Roast the peppers, let cool, peel, seed and cut into 1” pieces. While peppers are roasting, poach the garlic cloves in 1/2 cup of the olive oil. Keep it at a slow simmer until golden brown, about 10 to 15 minutes. Set aside to cool. Once cool, mash with a fork and set aside. In separate bowls, toss the squash, onion, mushrooms and tomatoes using the olive oil from the garlic poaching. In a large cast iron or non-stick skillet, grill the squash until it starts to caramelize. Then separately grill the onion, the mushrooms and finally the tomato. In a large bowl, mix together all the ingredients… add the salt and pepper. Transfer the mixture to 2 - 2 ½ quart gratin dish or baking dish. Sprinkle evenly with Parmesan. Bake until squash is completely tender, about 30 minutes. While researching various food techniques and ingredients I became fascinated by something called Umami. Umami is considered the fifth taste, in addition to the traditional four, sweet, sour, salty and bitter. It is often described as savory, or sometimes simply... delicious. Umami was discovered by Dr. Kikunae Ikeda of Tokyo Imperial University a little over a hundred years ago, but it wasn’t until the 1980’s that various studies proved that Umami actually constituted a legitimate fifth basic taste. Research continues and many of the world's leading chefs are finding creative ways to bring out the savory taste of a dish by using Umami laden ingredients. Common examples of everyday products include soy sauce, parmesan cheese and ketchup. With a little experimentation, I learned that by adding ingredients high in Umami characteristics, like mushrooms, soy sauce, anchovy paste and parmesan I was enhancing the Umami experience. Then I happened across something called Nutritional Yeast, a natural ingredient that gave the dish another Umami boost. By using those new ingredients, combined with the caramelization of the vegetables prior to roasting, I was enhancing the flavor of this dish making it more savory… and yes… delicious!